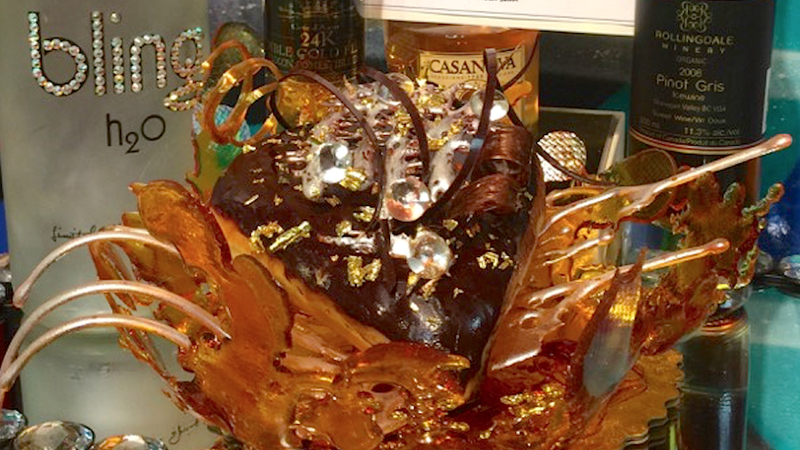 Image: Dolicious Donuts/This blinged out doughnut from Dolicious Donuts will set you back $100. French fries definitely had my attention this week, along with some seriously blinged-out doughnuts. Edible diamonds, anyone? New superfood veggies, a cookbook from a ’90s heartthrob, new Oreo flavors and more must-read food news rounded out this very eatable week. In other french fry news: I am very sorry that I have gone 34 years not knowing that there is such a thing as a french fry vending machine. Apparently this is not new news. Apparently they’ve been around for a while. Apparently I need to get out more. But just in case others need to know about this, I had to include it in this week’s roundup. Because, and this is very important, it is a machine that dispenses fresh, hot fries in 45 seconds. Be right back… going to find this unicorn of a vending machine. As a big fan of anything with diamonds on it, I’m all for this blinged-out creation made by Dolicious Donuts. 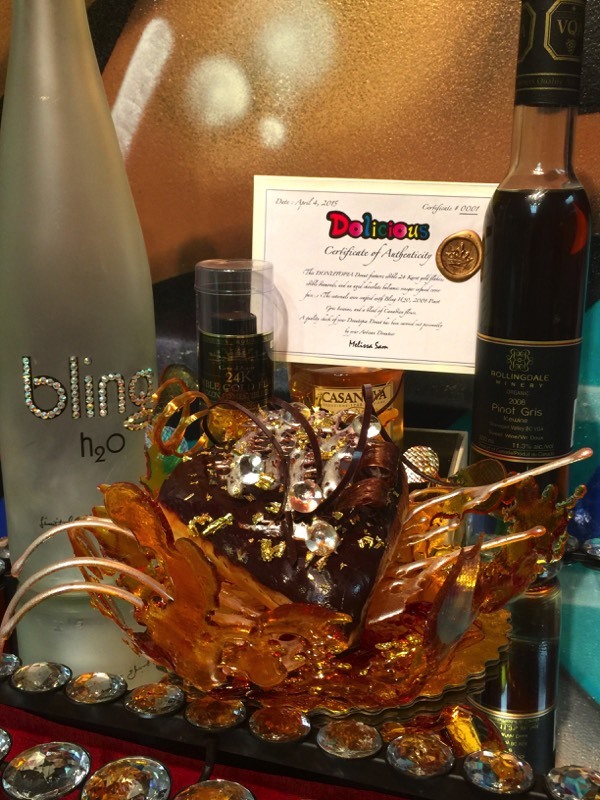 Sure, the Donutopia costs $100, but it has 24-karat gold flakes and edible diamonds. Edible diamonds! (OK, they’re made of sugar, but you can still say you ate diamonds.) Worth it. Didn’t see this one coming, but Freddie Prinze, Jr. will release a cookbook in 2016. Back to the Kitchen will be a collection of healthy recipes he frequently makes for his own family. He told E! News, “I have been cooking longer than I’ve been acting — in fact, if I hadn’t made it as an actor, I’d probably be a chef today.” Well, Freddie, I have to say, I enjoyed you immensely in She’s All That, so I’m glad you did the acting thing anyway. Kalettes, a hybrid of kale and Brussels sprouts created by Tozer Seeds, are the latest trendy vegetable to hit the scene. I have to admit I’m a fan of neither kale nor Brussels sprouts on their own, but these little cabbages actually appeal to me. They took a whopping 15 years to develop; the least I can do is try them, right? Kalettes are said to have a sweet, nutty profile, and they look pretty darn good roasted. These eggs clouds are currently blowing up Imgur, and I’m pretty sure this is what heaven looks like. Fluffy white egg clouds that rain runny yellow yolks, with a bacon weave thrown in for good measure, because, you know, it’s heaven. I don’t know if razmatazern invented these, but I thank him or her from the bottom of my heart for posting them. Click through the slides above to see how they’re made. 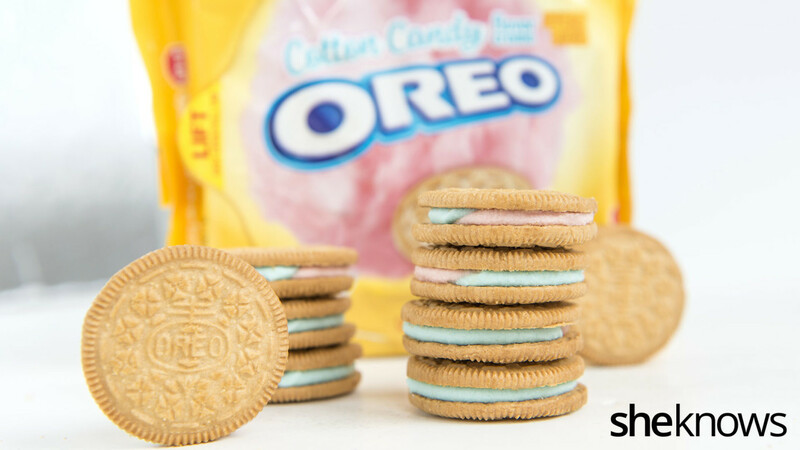 It turns out the rumors were true, and Cotton Candy Oreos have officially made their debut. While I have to admit I have a weakness for cotton candy and might have had a magical cotton candy machine when I was a kid, I think I probably prefer my sugar spun instead of mashed between two cookies. See the results of our in-office taste test, and decide if you need to make a grocery store run ASAP. Behold the grilled cheese and bacon Cronut. A Redditor posted this lovely creation and wondered if we’d taken food mashups too far. I would have to say that any dish with the words “bacon” and “grilled cheese” in it is fine by me, and the Cronut is just the icing on the cake. One commenter said, “Needs to be battered, deep fried, and then served with mayo and french fries on the side.” Gotta say, I don’t hate the idea. Christin at Spicy Southern Kitchen is the mad genius behind this week’s most drool-worthy recipe pick. Her king ranch mac and cheese is what my dreams are made of. 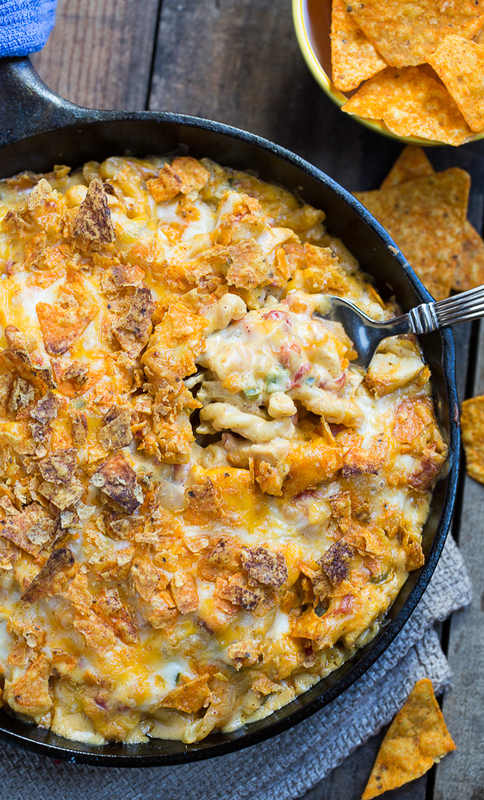 It’s got all the requisite comfort food elements: pasta, cheesiness, creaminess, baked in a cast-iron skillet and topped with Doritos. Yep, Doritos. And you’re welcome.